2 even teams. 1 or 2 defender breaks out and closes the oppostion down. 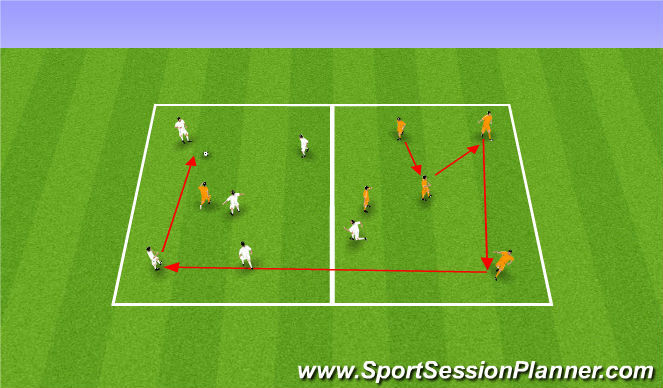 The team must get 6 passes then play ball across to score a goal. Play for a period of time.